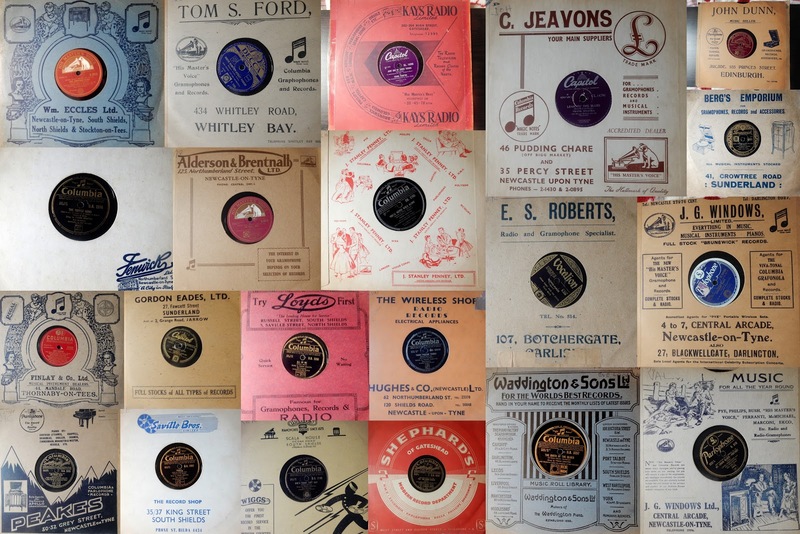 Whilst re-arranging my collection of 78s (mainly the Sinatra section), the diversity of shops selling records and musical instruments as depicted on the packets (I don't think the term 'sleeve' was in usage in the pre-vinyl era) served as a reminder of how vibrant were the High Streets of our towns and cities when it came to music. Of all the stores, I think only Fenwicks and J.G. Windows remain and only the latter still involved with music. Agree - there's a lot of social history in these sleeves. My collection includes Wiggs (of South Shields) and Savilles (of North + South Shields). One day I might dust off my collection of Les Pauls. Did you ever notice from the sleeves how many bike shops sold records too?